3. The Right to Appeal. There is no right to appeal within the OVDP. In fact, favorable decisions of revenue agents, and their managers are often reversed by so-called technical advisors. These technical advisors do not interface directly with taxpayers or their tax attorneys, and so it is impossible to negotiate with them. Once the opt-out decision is made, however, the taxpayer is given the right to appeal a decision to impose FBAR penalties to the IRS Appeals Division. The IRS Appeals Division is a semi-independent portion of the IRS whose stated mission is to “resolve tax controversies on a basis which is fair and impartial to the IRS and the taxpayer. One of the advantages of the IRS Appeals Division is that the Appeals Officers are permitted to settle a case based upon the “hazards of litigation.” This allows Appeals Officers the flexibility to settle an FBAR case based upon all of the facts, and circumstances, and based upon a percentage of the amount of the potential FBAR penalty. 4. 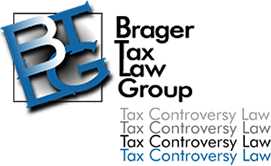 The IRS May Collect an FBAR Penalty Only if It is Approved by a Federal District Court Judge. The IRS has the ability to assess an FBAR penalty without judicial review. However, unlike with a tax deficiency the IRS may not use its administrative powers to file tax liens, or tax levies. Instead it must file suit in federal district court in order to obtain a judgment. In the district court the burden of proof is on the IRS to show that the taxpayer willfully, that is intentionally, failed to file an FBAR. So far the IRS has filed only a handful of such lawsuits. To date the lawsuits have involved fairly egregious situations so it is not surprising that the IRS has prevailed. Whether the IRS will bring lawsuits against taxpayers where the facts are not so clear remains to be seen. Generally speaking , however, the IRS is averse to losing cases which might set a bad precedent; so it may be a long time before the IRS is willing to even consider bringing all but the strongest of cases.